Do you love parties? Do you love saving the world? Well, do we have a job opening for you! Community Forklift is seeking an Event and Marketing Coordinator to work full-time with our growing green business. The Event and Marketing Coordinator (EMC) is primarily responsible for the planning, coordination and management of Community Forklift’s internal and external events, workshops, and other networking events, and for supervising the on-call Community Builders to staff these events. The EMC is responsible for event-related marketing, provides support and logistical assistance to the Outreach & Education Director (OED), and plays an administrative role in producing and maintaining reports and other record-keeping functions that are necessary for the implementation and oversight of the related activities. Coordinate external and internal events, including festivals, networking events, staff team building events and co-hosted community events. Responsibility for these events includes registration, staffing, coordinating logistics (including entertainment, refreshments, vendors and volunteers), managing budget and post-event documentation and reporting. Implement an educational workshop series each season, with a goal of at least 2 per month from March through November. Topics focus on DIY, old home repair, green living and upcycling. Recruit, train and manage a team of on-call contractors (Community Builders) to staff events and workshops. Maintain publicity calendar and publicize events online and in print. Write, edit and upload content for website, blog, newsletter and social media sites. Represent Community Forklift at public events and on local committees as needed. Community Forklift is a nonprofit reuse center for home improvement and architectural salvage. 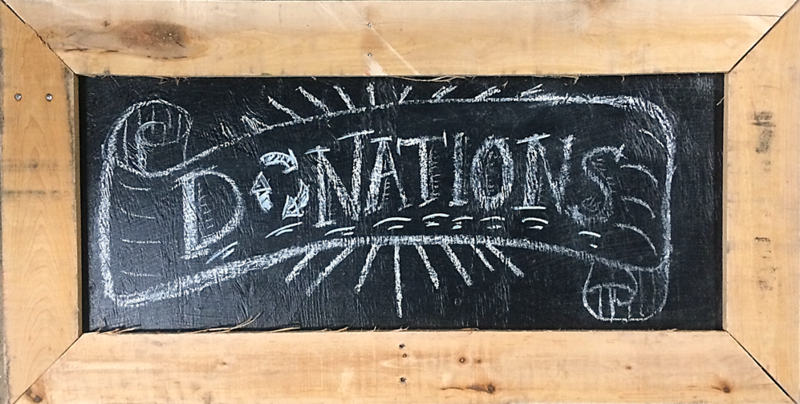 The store accepts donations of new, gently-used and vintage building materials; these donated renovation supplies are then made available to the public at low prices and donated to local nonprofits. Community Forklift is located outside Northeast DC, near the Hyattsville Arts District. Please check out our website: www.communityforklift.org. Send a resume, cover letter and three (3) recent professional references: by email to COOCommunityForklift(at)gmail.com, by fax (301) 985-5182, or by regular mail to Event and Marketing Coordinator Position, c/o Community Forklift, 4671 Tanglewood Drive, Edmonston, MD 20781. Please, no phone calls.